This is one of those truisms of writing that sounds sensible and useful until you actually scratch at it a bit, and realise that it doesn’t actually tell you what a strong goal is or how to come up with one that makes sense for your character. But I was thinking this week about characters and goals (mostly ‘cos I was thinking about World of Darkness roleplaying, but it applies to writing as well), and I’ve maybe come up with a trio of idea that combine to making a powerful goal for a character, one that can drive stories and inspire authors. So what, then, makes for a good character goal? Well, I call it my compilation of elements, because all three start with ‘comp’. Cheesy, yes, but easy to remember! The goal must be something urgent, something that compels the character to work towards it actively and right away. Part of this is having the goal be something that emotionally yanks at the character, so that ignoring it to do something else is unthinkable. Revenge is a good example of this, as is a burning need to seek justice (they’re not quite the same thing). 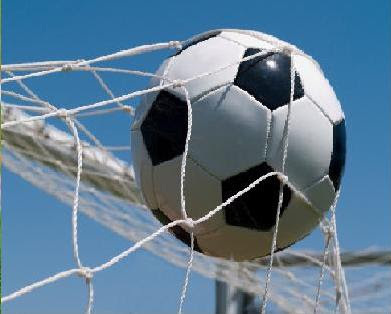 But the time element is also important; a good goal can’t be shelved indefinitely. Perhaps it has to be completed before the opportunity is lost (the murderer must be caught before he escapes the country), or perhaps the goal just won’t mean anything to the character if it’s not achieved right away. There’s room for a goal that can be put aside for a brief period – particularly if the delay gives the character a much-needed advantage, such as an ally or information – but it has to draw the character back even harder after the break. A goal that is easy to achieve is a boring one, and one that doesn’t drive a narrative. A good goal takes work to achieve, and not simple work at that. There needs to be obstacles in the way, conflicts to overcome, multiple stages that need to be achieved. All of this complication requires the character to work hard at things and to approach things from multiple angles – a goal that is difficult, but is achieved simply by killing lots and lots and lots of dudes, is a goal that won’t keep readers’ interest. (The best narrative video games understand this – they stretch player skill in multiple areas at different times to progress towards the end.) Complications allow you to bring in other story elements, like additional characters and plotlines – and most importantly, complications give you lots of ways to introduce different kinds of conflict. Because, as we all know, stories run on conflict. You can kill dudes, Ezio, but now you must BAKE! And in the end, the goal has to be something the character can achieve – they can get to a point where they think ‘yes, I’ve done it, I can stop now.’ (That doesn’t mean that they have to achieve the goal – tragedy and anticlimax are wonderful things – but it has to be something they could have achieved if things hadn’t gone wrong.) There need to be milestones along the way to keep the character’s momentum going, and there needs to be a concrete, definable end state. Vague, open-ended goals like ‘gain power and wealth’ don’t keep propelling the narrative and maintain reader attention; eventually they lose momentum and peter out. Similarly, the emotional power behind a compelling goal slowly evaporates if the goal isn’t achievable; it loses meaning, and the ability to care goes with it. Paint a target on your story, point your character at it, and let it explode when he/she hits the bullseye. Well, of course you can, because this list ain’t the perfect be-all end-all ULTIMATE SECRET of writing; if I could come up with that, I’d be injecting liquid money into my eye sockets rather than writing blog posts. There are certainly other ways to come up with good character goals; this is one pattern, but every writer finds their own way. It’s also important to remember, though, that not every strong character needs a strong goal. Goals are important in stories that are driven by character choices and actions, but that’s only one kind of story. Event-driven stories often feature reactive characters, who respond to external needs rather than internal forces, and those stories are just as interesting and powerful. Characters with weaker, vaguer goals are also better suited to open-ended narratives, such as ongoing serials. 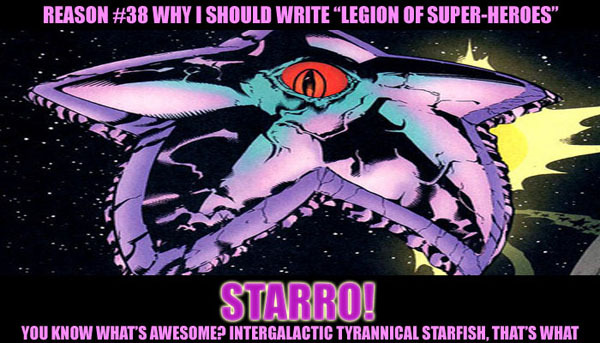 Comics are a great example; Batman has a goal (to avenge his parent’s deaths and fight crime in Gotham), but it’s not an achievable one or one that must utterly consume him, if only because he has to stop every now and then to help the Justice League fight Starro or something. But even in these narratives, you can include smaller subgoals, and in turn give the reactive character a more active role for a time. ‘Fight crime’ is too vague and too unachievable; ‘uncover and defeat the Court of Owls’ is a lot more solid and puts Batman into the driver’s seat of a specific storyline. And again, including all three elements – compelling, complicated, completable – makes that subgoal engaging and exciting for the period in which it drives the larger narrative. So that’s my guide to the basics of a strong character-goal. Work out those three elements at the start of your story and you should have enough steam in the engine to power you all the way to the end. Do you have a different approach? Let’s talk about it in the comments! Come on, people, let’s share.